Do you know anyone named George who would like to take part in a Guinness World Record attempt? Oh and a chance to win a red and white MINI Cooper? More information below - Disclaimer: I have not been compensated in any way for this post. England’s most patriotic business owner is calling on Georges to help bring an official Guinness World Record back to the country. David Haythornthwaite, owner of Tangerine Holdings and a number of other businesses in Lytham, Lancashire, has issued a plea to all people with the name George to attend a special parade during this year’s St George’s Day Charity Festival celebrations. Event organisers at the festival, which takes place in Lytham St Anne’s every year, need to get more than 1,096 Georges to the event on Saturday 25 April to beat the 10 year-old record set in Dubai by people called Mohammed. David, who is a member of the St George’s Day Society and gives all his staff St George’s day off as holiday every year, commented: “It’s always struck me as odd that citizens in other countries receive a day off to celebrate their national saint’s day but here in England we don’t. British architect and television presenter George Clarke, who fronts some of TV’s most popular building programmes including The Home Show,The Restoration Man and George Clarke's Amazing Spaces, has also pledged his support for the official Guinness World Record attempt. He said: "I think this is a really exciting Guinness World Record attempt that I just had to be part of. “My grandfather and father were both called George, they obviously named me George and I then named my first son George too. What's even more amazing is that he was born on St. George’s day! All money raised during the St George’s Day Charity Festival will be donated to the 2015 beneficiaries - ABF, The Soldiers’ Charity, Trinity Hospice and The Boathouse Youth. 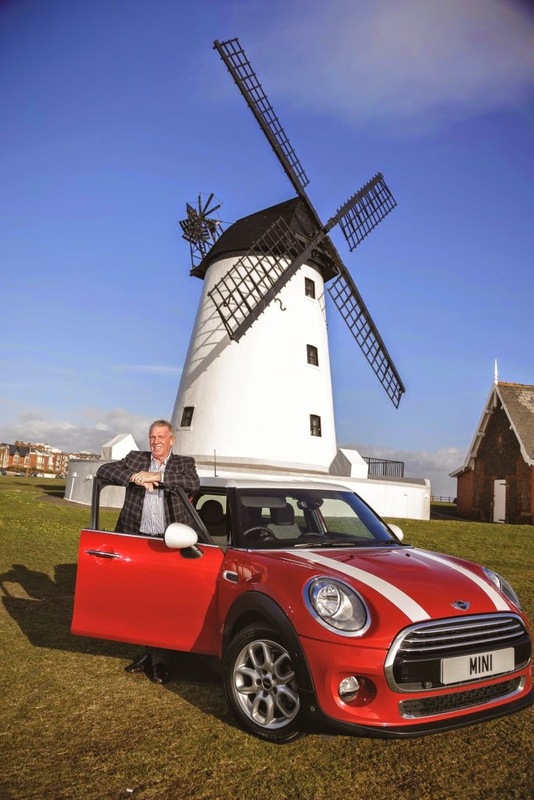 Georges that register to attend the parade will be entered into a prize draw, with the winner driving away in an English icon - a red and white MINI Cooper three-door hatch. For more information or to register, visit www.april23.co.uk. Our lovely weekend at Blackpool - review.